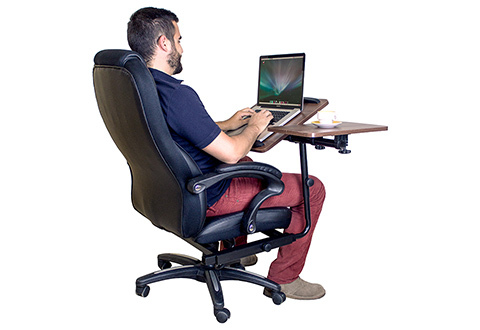 Who needs a desk when you have the Office Chair With Integrated Laptop Desk? This handsome black upholstered faux leather chair lets you sit comfortably while you work on your laptop computer, tablet or smartphone. 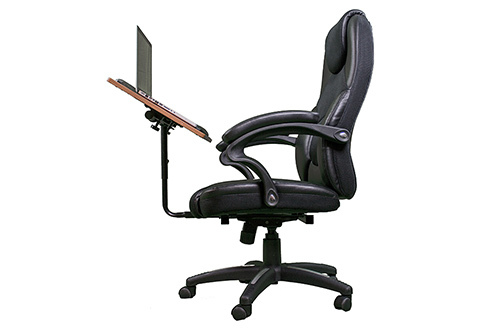 It’s fully adjustable, with an ergonomic design and a maximum weight capacity of 300 lbs. The work surface leans, tilts, swivels and moves right along with the chair. Universally designed for left-handed and right handed users. 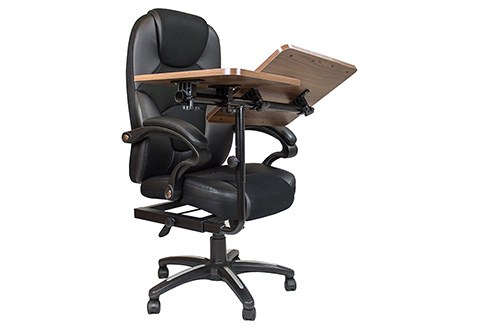 The Office Chair With Integrated Laptop Desk gives new meaning to mobile devices. 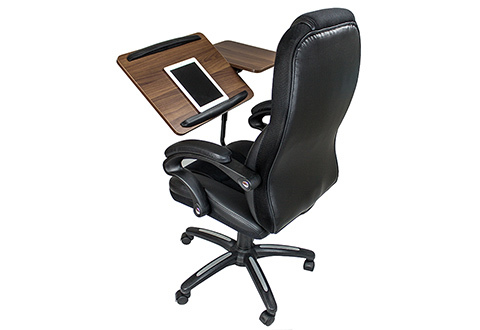 Just place your laptop, tablet or smartphone on the spacious desk area and you’re ready to work in any space. • Maximum capacity 300 lbs.